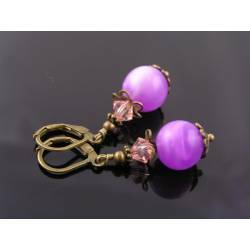 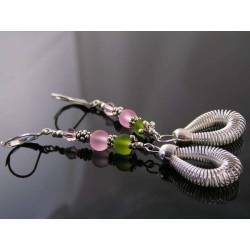 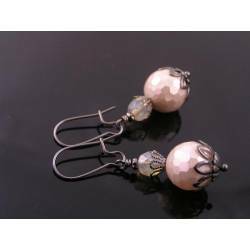 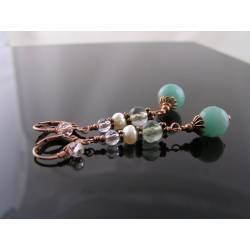 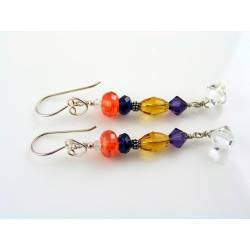 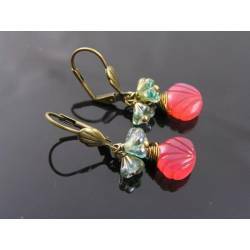 Great Czech glass beads in a shiny and elegant colour combination. 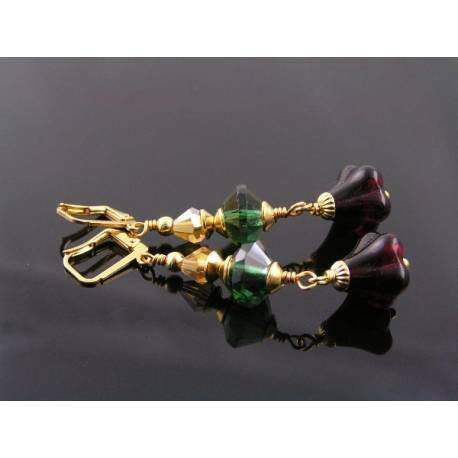 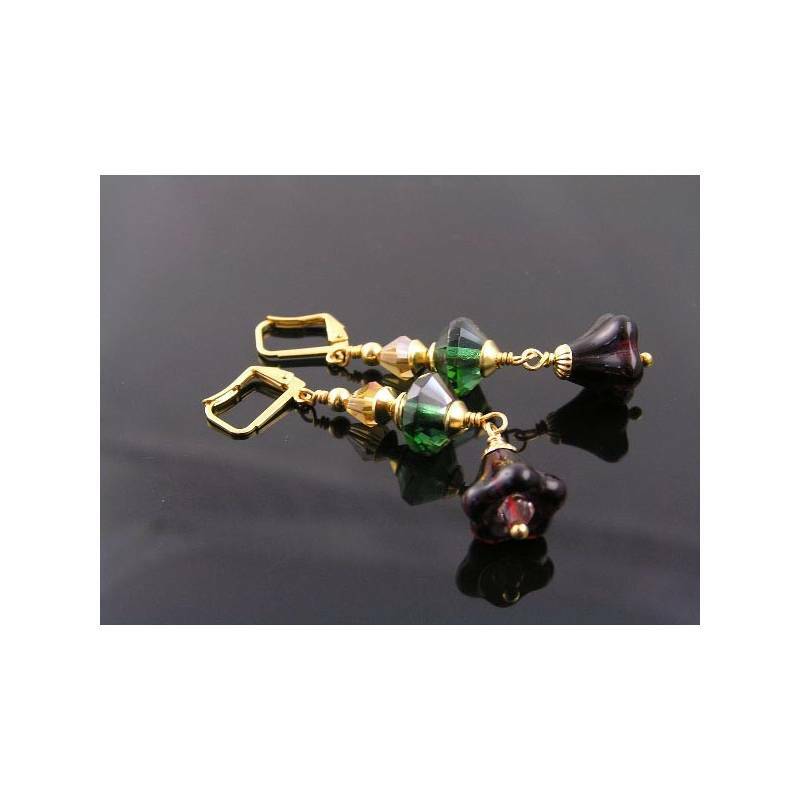 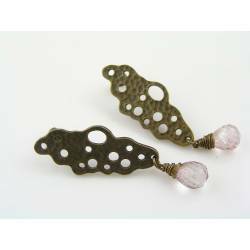 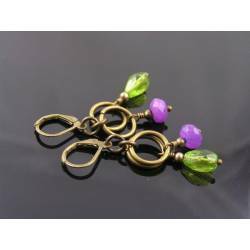 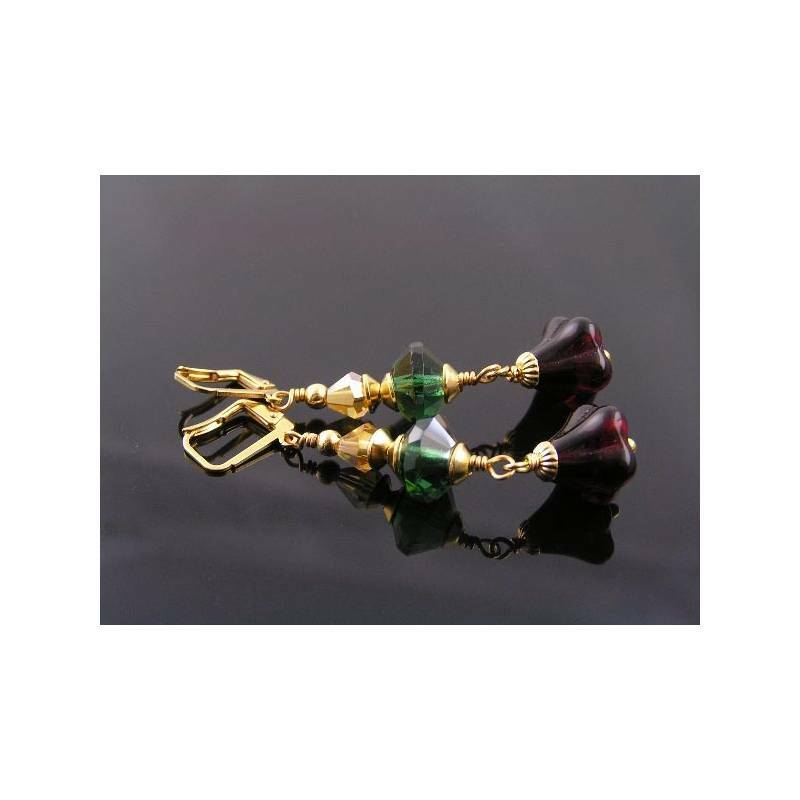 Bright gold components team up with lovely faceted Czech glass rondelles in dark green and smooth Czech flowers in deep siam red. 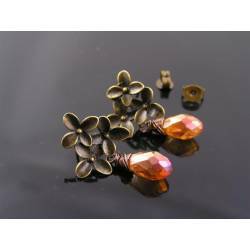 The flowers are 'filled' with sparkling crystals and capped with little corrugated bead caps. 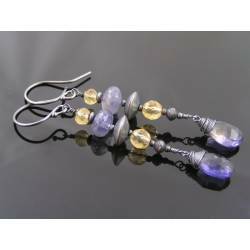 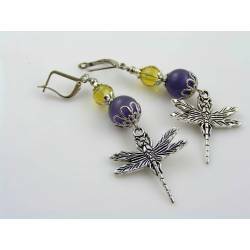 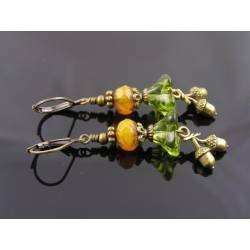 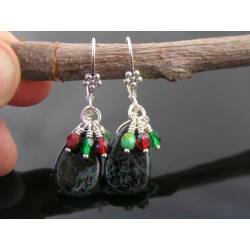 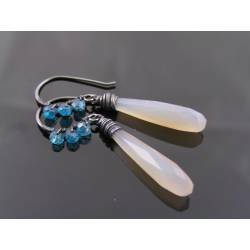 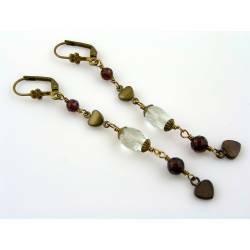 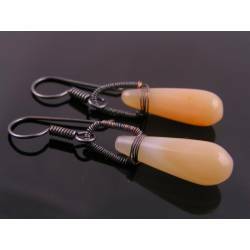 Topped with super sparkly Czech crystals in amber with a shiny aurora borealis finish, the earrings are then connected to secure lever back ear wires. 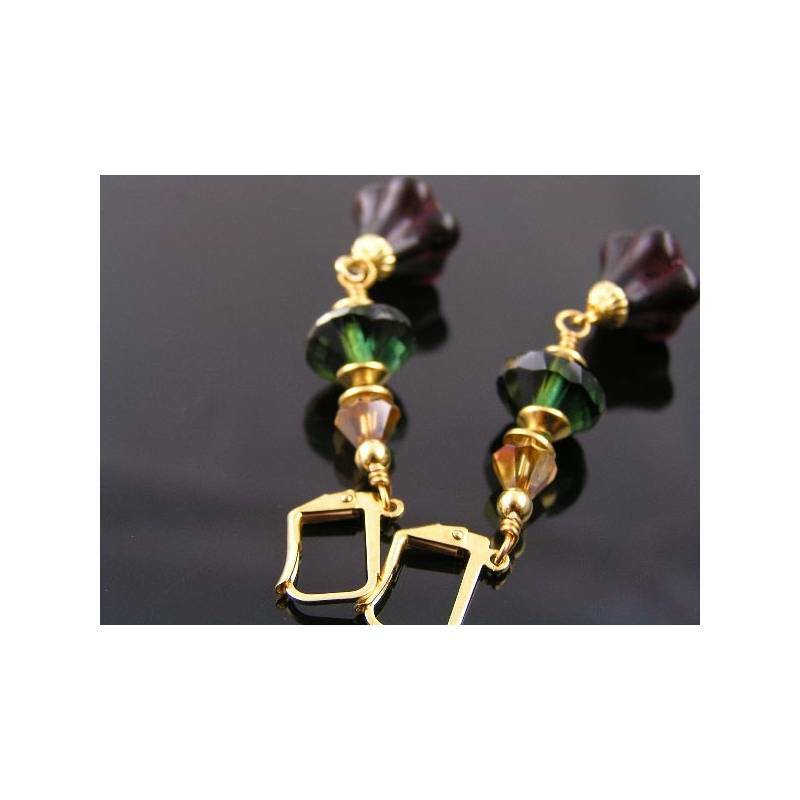 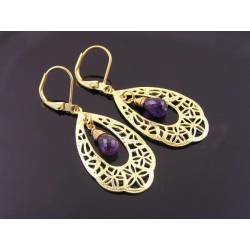 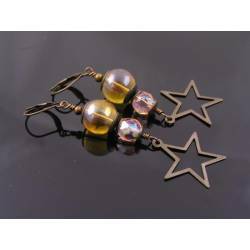 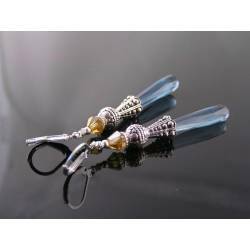 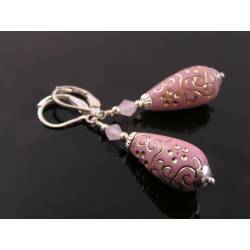 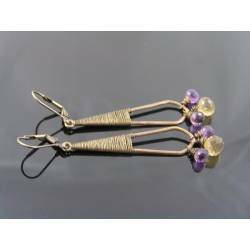 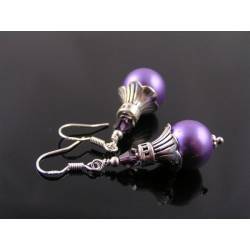 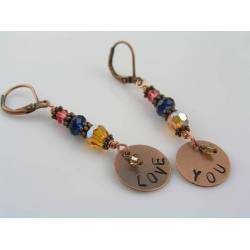 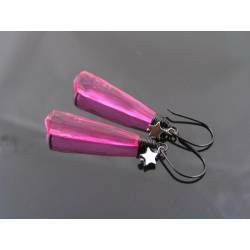 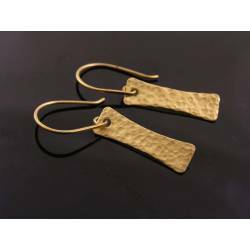 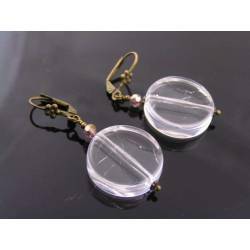 Total length of the earrings is 55mm, all metal is solid brass which a shiny real gold plating.